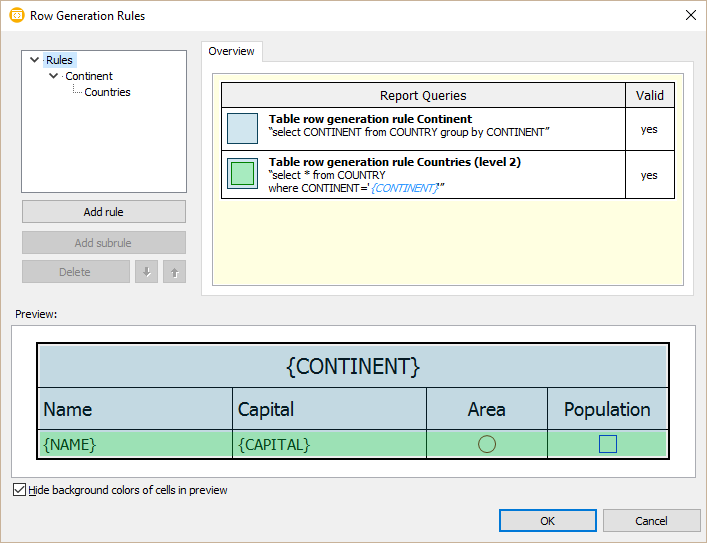 We are happy to announce the availability of our new reporting components: Report Workshop. 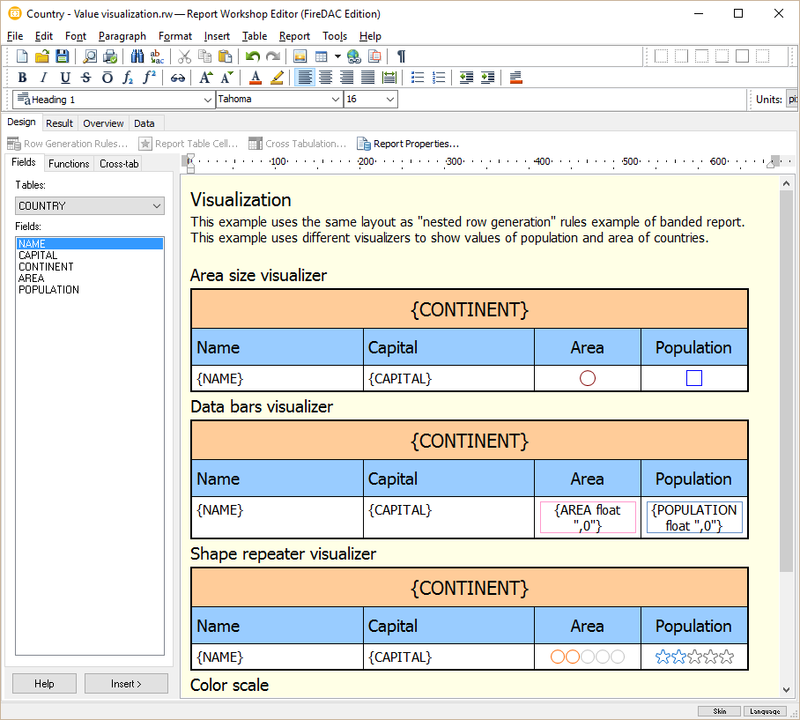 They allow designing reports in TRichView (or ScaleRichView) editors, and build these reports in these editors as well. 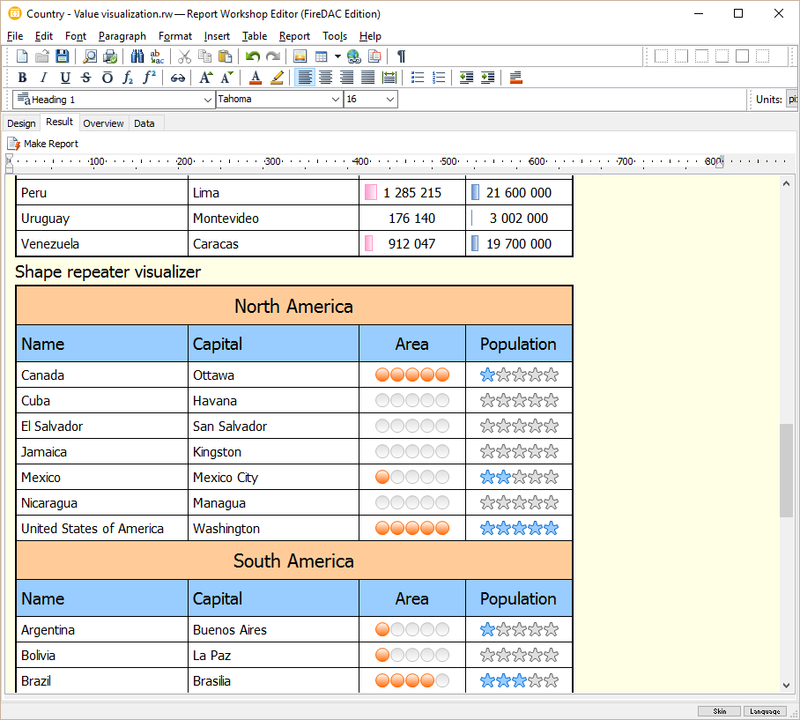 Both report templates and report results are word processing documents that can be stored in RVF format. They can be printed, exported to HTML, DocX and RTF (and PDF, using third-party PDF components). You can apply styles to report templates and report results to change their appearance. Registered TRichView users can order Report Workshop separately. The current prices are introductory, they are available for a limited time! I changed defaults in the compiled demo. Previously, when starting, it tried to load dbdemos.gdb using InterBase. It could not be loaded if you do not have InterBase server installed and running, or you have InterBase version prior to XE. The new version loads dbdemos-old.gdb using embedded version of FireBird.